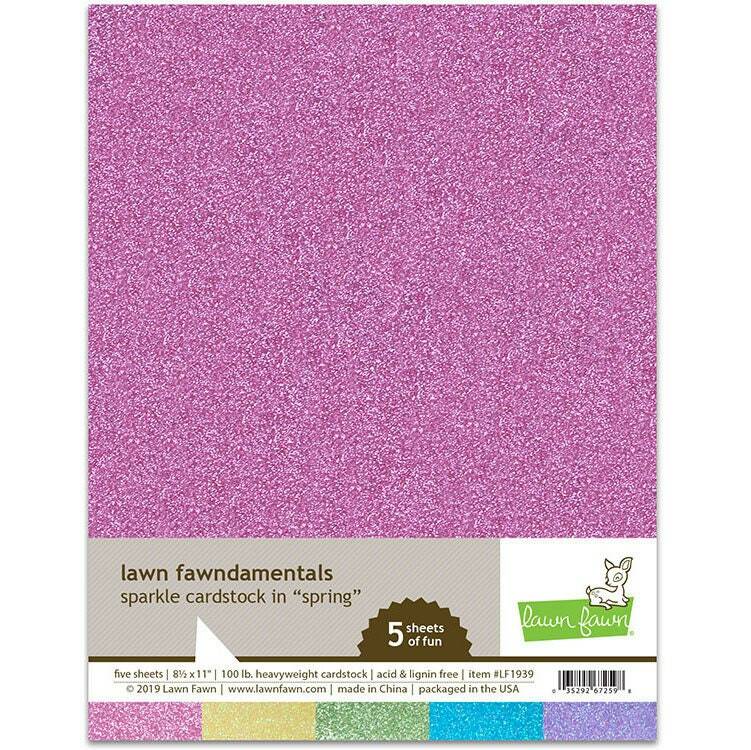 Make your Spring Sparkle with this 8.5" x 11" Cardstock Pack from Lawn Fawn. There are 5 sheets of 100 lb sparkle paper included (one sheet of 5 different colors). The papers are acid and lignin free and packaged in the USA.